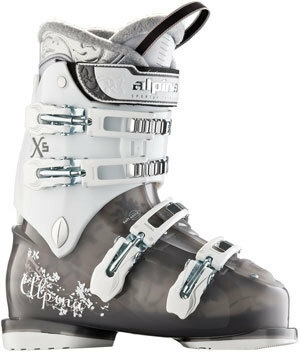 The 2012 Alpina X5 Ladies Ski Boots are designed for beginner to intermediate level skiers looking for a boot that is comfortable and not expensive. If you are a lighter weight skier or a skier that is not aggressive the Alpina X5 Ladies ski boots are a great option for you. Why rent when you can get a good pair of ski boots for so little money. Alpina does not spend advertising dollars and that helps keep their product costs so low. Check out the great features this boot has for the money.